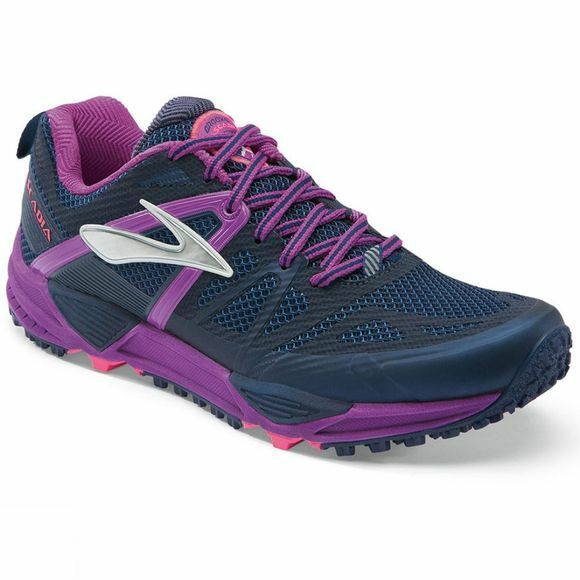 Over hill, over dale, when you hit the dusty trail, hit it in the new Brooks Cascadia 10 Women's trail-running shoe. Built with a 4-point pivot posting system that provides increased flexibility and adaptability on tricky terrain, and a ballistic rock shield which sounds awesome and is awesome when it comes to protecting your foot from trail hazards. The full-length, segmented crash pad allows for ideal ground contact from foot-strike to toe-off and the adaptive BioMoGo DNA midsole gives you custom cushioning. 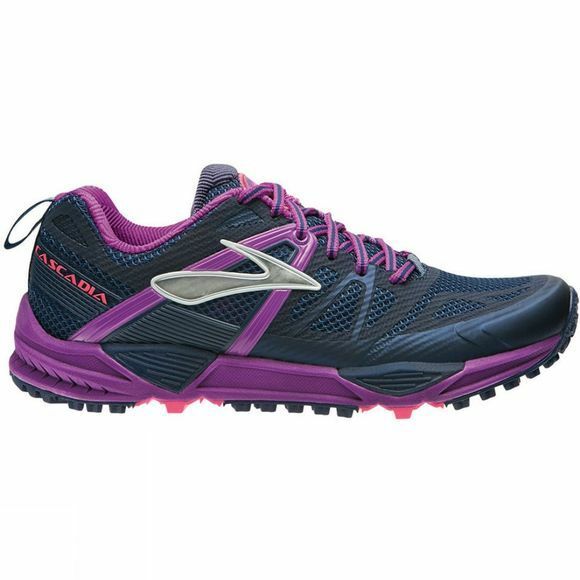 Conformable saddle construction in the upper, plus moisture management fabric and hydrophobic foam all come together to create a rugged, comfortable, lightweight trail running super-shoe. With Brooks DNA, the high performance running brand has now finally developed a shock absorber system that adjusts to the requirements of all runners. BioMoGo, the first fully bio-degradable midsole, sticks to the promise of the 'Brooks Runs Green' promise.